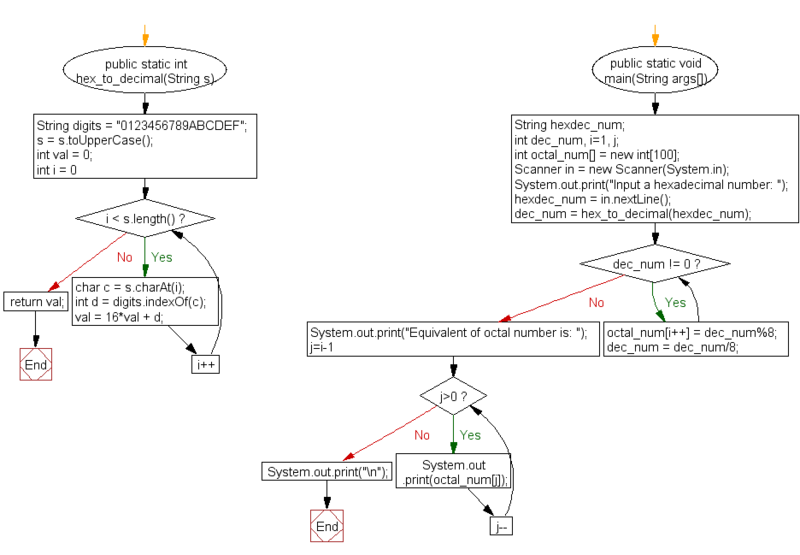 Write a Java program to convert a hexadecimal to a octal number. Hexadecimal number: This is a positional numeral system with a radix, or base, of 16. 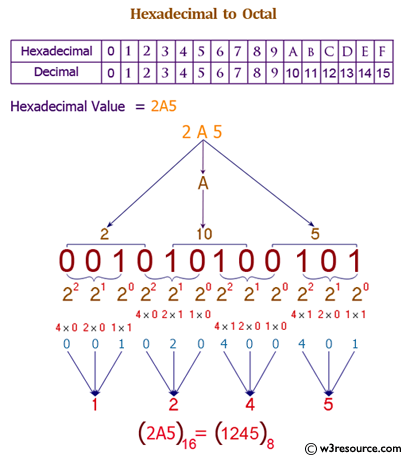 Hexadecimal uses sixteen distinct symbols, most often the symbols 0-9 to represent values zero to nine, and A, B, C, D, E, F (or alternatively a, b, c, d, e, f) to represent values ten to fifteen. Previous: Write a Java program to convert a hexadecimal to a binary number. Next: Write a Java program to check whether Java is installed on your computer.